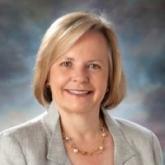 Sheryl J. Dennis is a partner at Fields and Dennis, LLP in Wellesley, Massachusetts. Ms. Dennis is a member of the Boston and Massachusetts Bar Associations, the Massachusetts Council on Family Mediation, the Collaborative Law Council and the National Association of Parent Coordinators. She is also a principal in the Center for Problem Resolution, Inc. which has been approved by the Superior Court and Probate Family Courts of Massachusetts as a provider of court-connected mediation services. Ms. Dennis brings significant litigation experience to the practice. For many people Elder and Estate Law are the same. However, Massachusetts Elder Law and Massachusetts Estate Law are two distinct areas, and it is important to distinguish between them. The practice of Elder Law is unique because it is characterized by a specific type of client, not by the type of work practiced in a particular field. Estate Law, on the other hand, generally relates to the preparation of will and testament, formation of estate trusts and living trusts, and probate administration for clients of any age. Elder law focuses on the numerous financial, medical and legal issues associated with aging that affect seniors. Among the various issues found in Elder Law, the attorneys at Field and Dennis specializes in Massachusetts elder law issues related to estate planning, probate, guardianships and domestic partnerships. This includes protection of property interests, entitlement to public benefits, health care decision-making, like power of attorney and health care proxy, visitation laws and rights, and guardianships. Family members are often confronted with difficult decisions regarding the care of an aging parent or other aging family member. Many times the aging family member has not made provisions for their medical or mental disability or death. This leaves the caretaking family member unsure about their decisions and sometimes unable to pay for the care of the aging family member. Our firm helps family members determine the best course of action for their particular situation. They come to us with questions and concerns and we provide them with guidance, support, and answers. Estate Litigation – We represent people in disputes related to will contests, capacity issues, fraud, undue influence allegations and other estate disputes. Will Contest – Our firm represents people challenging or defending the validity of a will. Powers of Attorney – We help you decide whether a power of attorney is appropriate for you and your family. Guardianships – A legal guardianship can be an important and effective tool to aid in the care of elderly or disabled family members. We will help you determine if this is the appropriate course of action for you to take and offer alternatives. Wills – Drafting comprehensive wills is one of the best ways to avoid estate litigation and probate disputes. These are tools that you can put into place prior to your disability or incapacity that clearly define your intentions. As Massachusetts elder law attorneys, we have experience in assisting individuals and families in developing estate plans to avoid depleting their assets should they become ill and require long-term care. For those individuals who are already in nursing homes, we can help them qualify for Medicaid benefits while maximizing the amount of money they are able to keep through Medicaid trusts. Contact Us We will assist you in determining which tools will best protect your estate and make certain your decisions are carried out as you intended. To learn more about Elder and Estate Law, contact the Fields and Dennis to schedule a free initial consultation with an experienced attorney.